Santa Olalla del Cala is situated within the Sierra de Aracena y Picos de Aroche natural park, in the foothills of the Sierra Morena mountain range. The village is in the very north-east of Huelva province, about 5km from the province of Seville, on the old Ruta de la Plata. Originally named Ponciana by the Romans, Santa Olalla's current name comes from the Galician version of the patron saint of the town, Santa Eulalia de Merida. It was later renamed Santa Olalla del Cala in 1920 in honour of the river Cala. During clashes between the Kingdom of Castille and Portugal in the mid-13th century, a defensive line (Galician Banda) was created by residents in the north - Asturias, Galicia and Leon, mainly from León, against the Portuguese threat. The defensive line was based on a series of forts visually connected by torch signals. Sancho IV el Bravo granted the privilege for many villages to construct forts, to protect them again the continuous attacks of the neighbouring country. The Castillo de Santa Olalla (castle) was built and along with the Iglesia Parroquial (church) and Jewish Synagogue (destroyed in 1381) show the medieval existence of the village. In the 19th century cork production started, where the bark of the cork oak tree is harvested every nine years. Many factories were built to make cork wine bottle stoppers, bringing new prosperity to the town. 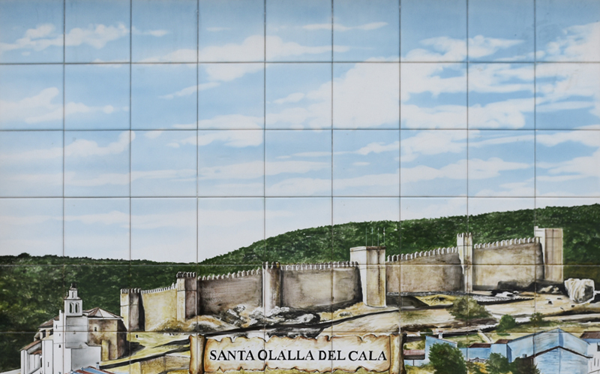 At the end of the 19th century, Santa Olalla was established as a village within the province of Huelva. A north-south line, exempting El Madroño, served as a guide to the limit of the east side of the province. This huge castle was built in the 13th century in the Gothic-Múdejar style of Almohad Caliphate tradition, and stands on the so-called "Cerro del Castillo", 540 meters high. It was built by Sancho IV under an agreement with the Council of Seville to build fortresses in Cumbres and Santa Olalla. Located on Calle Iglesia. The Gothic-Múdejar-Baroque style Iglesia de la Asunción was built in the 14th century. Firstly a synagogue existed on this site until the ninth or tenth century (you can still see some pillars and a capital from the original building), and then a mosque (the nave with its brick arches dates from that era). It has two equally beautiful entrances: the Puerta de la Epístola has a Gothic-Múdejar style epistle and granite horseshoe-shaped arch; and the Puerta del Perdón, also in Gothic style with a granite arch. In the 18th century the church was re-built due to damage caused after the Lisbon earthquake of 1744. During the restoration, the belfry location was changed and side chapels were added. Located on Calle Iglesia, at the foot of the Castillo de Santa Marta. A Roman mosaic can be seen on the wall of a village house, evidence of Roman presence in the area. Located on Calle Iglesia. This convent and church was built thanks to contributions from the Gragera y de León family. The convent, which was originally used as a girls' school, had as its chapel the Iglesia de San Pedro. The interior holds ten beautiful stained glass windows, one of patron saint Santa Eulalia, and the others representing family members of its founder, Don Pedro Gragera y de León. Located on Avenida Andalucia. The bullring was built in 1911, the last to be constructed within the Sierra de Aracena. It is surrounded by granite blocks, giving the appearance of a circular crown. Located on Calle Zorrilla. Santa Olalla has a rich tradition of farming, livestock, and crop and olive harvests. This museum has pieces demonstrating the ancient agricultural heritage of the town. Located on Calle Zurbara. Opening times vary. Free Entry. Tel: 959 190 175. Inside the bullfighting museum (one of the first in the province), you can see relics donated by different bullfighters. Opening times vary. Free Entry. Tel: 959 190 175. Initially these mines were exploited by Germans - you can see the ruins of an old English colonial mansion built by Germans to house engineers working at the mine. Today, it has become a viewpoint on a busy hiking route. The most popular route starting from Santa Olalla is the Ruta del Ferrocarril or Santa Olalla-Minas de Teuler. During the 19th and 20th century a railway line passed through Santa Olalla del Cala, originally from the mines, Minas de Cala or Minas de Teuler, to Seville. Today you can see traces of the old station. The route is approx. 15km and takes five hours. Other routes available are Camino a la Sierra del Viso and Sendero de la Cuesta Blanco. Santa Olalla's flora is typically Mediterranean, predominantly holm oaks, cork oaks and olive. Pear trees are also visible, as well as indigenous bushes, such as rockrose, and you may smell a variety of aromatic plants such as rosemary and thyme. The banks of the rivers are home to species such as white poplar, black poplar, willow and elm. Birds of prey includes the golden eagle, sparrowhawk, peregrine falcon, short-toed eagle, black kite and booted eagle. Apart from Iberian pork, as in all the Sierra de Aracena villages, Santa Olalla also offers dishes such as sopa de mamones, sopeao, papas viudas, arroz con pena, almorraque and gazpacho majao. Sweets and desserts include poleá, roscos, pestiños, gañotes, piñonates and torrijas. Santa Olalla also has a variety of homemade cheeses. Handicrafts of Santa Olalla include mosto de Cañamón (first white grape pressing), embroidery, and products made from wood, leather and bone. Celebrated in February. The tradition is to burn a jamón bone to end the festival until the following year. Pilgrimage celebrated on the second Sunday of May by a procession of the patron saint. Summer festival with music, dancing and food, as well as bullfights, celebrated in August. Celebrated annually in April, this fair attracts many visitors. It celebrates Iberian pork as a well as hunting and game products. Festival in October/November to celebrate the Sephardic (Spanish-Jewish) culture, which was so important in Spain until the late 15th century, when the Inquisition started. It is celebrated in the area around the castle and church, with medieval games and food. Santa Olalla del Cala is located 120kms from Huelva. To get there, take exit 75 on the A-49 towards Trigueros. 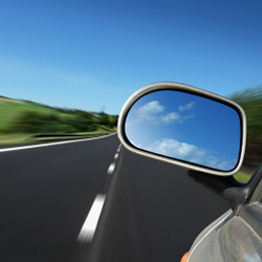 At San Juan del Puerto, take the N-435, then continue on the A-493 and then onto the N-630 until Santa Olalla. Hover the cursor over Santa Olalla del Cala to see bigger map and click to go to the maps page.